Fall in love with the adorable Becky Bloomwood (Isla Fisher) in the hilarious romantic comedy Confessions Of A Shopaholic. Becky is desperate for a job writing for a high-fashion magazine in glamorous New York. She gets her stilettos in the door writing a personal finance column at a sister publication. Much to her surprise, her column, "The Girl In The Green Scarf", becomes a hit, and she falls head over high heels for her handsome, overworked boss (Hugh Dancy). But Becky has a secret that leads to some hilarious high jinks that could unravel it all. From the best-selling novel, and featuring the perfect comedic cast, it s the feel-good romantic comedy you ll fall in love with over and over. $17.809 million on 2507 screens. Look up “luckiest man on the planet” and you might find a photo of Sacha Baron Cohen. He’s made millions as the mastermind behind “Borat” and “Ali G”, yet he can walk down the street since those characters render him unrecognizable. All that, and he’s engaged to Isla Fisher, one of the most gorgeous actresses working today. She’s so adorable that I’ll watch pretty much anything she does. That’s why 2009’s Confessions of a Shopaholic ended up in my Blu-ray player. Fisher plays Rebecca Bloomwood, a young woman obsessed with consumer spending. She devotes all her bucks to fashion, and that taxes her salary as a writer for Gardening Today magazine. She dreams of a job with the high fashion rag Alette and schedules an interview. Alas, when she arrives, Rebecca learns that someone already in the Alette family got the promotion and snagged the gig. Rather than give up, she applies for a job at another magazine under the same publishing umbrella: Successful Saving. When she interviews with editor Luke Brandon (Hugh Dancy) – the same guy she met cute a few minutes earlier – she flops miserably. From there, matters get worse. When Gardening Today goes under, she loses her job. Faced with more than $16,000 in bills due to her capricious spending, Rebecca decides to try once more to snare a gig at Alette. In a drunken spree, she sends a sample article to the magazine under the assumption her fantastic writing skills will overwhelm her prospective employers. While still tanked, she also mails a nasty letter to Luke to tell him off. To the surprise of no one who’s ever seen a movie, drunken Rebecca accidentally puts the sample article in the letter to Luke and the crude kiss-off goes to Alette. This does get her a job: at Successful Saving. From there she tries to make the best of her situation while an inevitable romance with Luke blooms. Isla Fisher deserves better than this warmed-over rom-com nonsense. As charming as she can be, Fisher can’t quite make the super-superficial Rebecca likable. We’re supposed to see her as the girl with the heart of gold or whatever, but the movie fails to develop her as a real character. She’s an amalgam of personality types we’ve observed in the past and doesn’t do anything with her. This leaves Rebecca as a package of superficial quirks without the least reason for us to care about her. We almost sorta kinda do, but that’s more because we like Fisher. As written – and often as portrayed – Rebecca is an annoying flake. She has no self-control and lies to get what she wants. And we’re supposed to find this charming? Take the film’s treatment of debt collector Derek Smeath (Robert Stanton). The guy simply tries to get Rebecca to pay back some of the thousands of dollars she owes, but the movie paints him as some sort of vengeful terminator. We’re supposed to be amused by the way she tells her co-workers he’s a stalker and has security accost him. We’re also supposed to delight in the way she finally reimburses him for all her debts. Instead, we just see Rebecca as a selfish, spiteful narcissist. Again, Fisher’s charm almost allows us to give half a hoot about Rebecca, but the character gives us virtually no reason to like her. In fact, it’s more likely that the story will lead us to actively dislike the woman. It doesn’t help that Shopaholic doesn’t bother to develop a real story or anything remotely logical. Everything happens with very little cause. Rebecca becomes a big star apparently within seconds of getting the gig, and the film zips through unlikely scenarios with no rhyme or reason. We’re supposed to be so smitten by our wacky, lovable main character that we overlook all these nonsensical bits. I get the feeling the filmmakers have decided to turn Fisher into the 21st century Lucille Ball, as it plops her into one ridiculous slapstick moment after another. Like everything else in Shopaholic, none of these gags make sense, and they don’t amuse either. This is a film packed with pointless stereotypes and stupid, one-dimensional characters. It’s a bizarrely random flick that never attains any focus and it does a lot more to annoy than to entertain. Confessions of a Shopaholic appears in an aspect ratio of approximately 2.40:1 on this Blu-ray Disc. This was an inconsistent but usually good presentation. Sharpness caused some mild concerns. While the movie usually appeared acceptably concise, more than a few shots looked slightly soft and ill-defined. This wasn’t a massive concern, but it meant that overall clarity was a bit lackluster. No issues with jagged edges or shimmering materialized, and I noticed no edge enhancement or source flaws. Given its fashion emphasis and girlie tone, I expected a broad palette from Shopaholic, and that’s what I got. The colors worked well, as they came across as nicely bright and dynamic. Blacks were nicely deep and firm, and shadows displayed good clarity. In general, this was a decent transfer, but the mild softness left this as a “B” presentation. I found exactly the kind of audio I expected from this sort of film. Shopaholic offered a DTS-HD MA 5.1 soundtrack. As usual for a romantic comedy, the soundfield maintained an emphasis within the forward spectrum. There I heard good stereo separation to the music and nice delineation for the other elements. Most of the effects tended toward the ambient side of the equation and very little added much pizzazz. Most of the time, the track stayed light and breezy without much substance from the surrounds. Audio quality appeared to be positive for the most part. Speech sounded crisp and natural most of the time, though some lines seemed a bit dull. No problems related to intelligibility resulted, however. Music and effects demonstrated fine clarity and they appeared reasonably lively. Music worked best, as that side of things showed nice bass and punch. Overall, the audio of Shopaholic was acceptable and that was about it. We find a minor roster of supplements here. Six featurettes show up under the banner of Behind the Fashion. 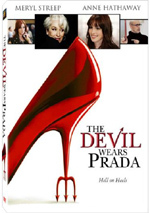 These include “Wardrobe by Patricia Field” (3:03), “Temple of Shopping” (2:32), “The Green Scarf” (1:33), “New York Fashion Central” (2:34), “Sample Sale Madness” (1:58) and “Window Shopping” (1:46). We get remarks from costume designer Patricia Field, producer Jerry Bruckheimer, director PJ Hogan, production designer Kristi Zea, Henri Bendel CEO Ed Bucciarelli, and actors Isla Fisher, Krysten Ritter, Robert Stanton, Kristin Scott Thomas, Leslie Bibb and Hugh Dancy. 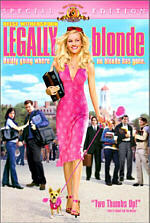 The pieces look at costumes, stores, locations and other elements related to the movie’s depiction of fashion. To some degree, these clips seem a bit superficial, but they do manage to provide some interesting notes about these parts of the flick. Four Delete Scenes run a total of six minutes, 19 seconds. We locate “19 Scarfity Scarf Scarf” (0:52), “Zebra Print Pants” (3:26), “The Unexpected Kiss” (1:24) and “Plaid” (0:36). As implied by its length, “Pants” is the most substantial of these; in it, Rebecca takes on a second job to earn more money. “Scarf” reinforces her obsession with the green scarf, “Kiss” messes with the Rebecca/Luke romance, and “Plaid” offers a little joke related to Luke’s new endeavor. The last two are too silly to work, and the first two just remind us what a self-absorbed bimbo Rebecca is. Bloopers of a Shopaholic gives us a two-minute and six-second reel. It consists of the usual array of goofs and silliness. It’s average for that sort of collection. We also find three music videos. We get “Accessory” by Jordyn Taylor, “Stuck With Each Other” by Shontelle Featuring Akon, and “Takes Time to Love” by Trey Songz. I can’t say I enjoyed any of the songs, and the videos seem mediocre. A few ads open Disc One. We get clips for The Proposal, Lost and Blu-ray Disc. These also appear in the Sneak Peeks area along with a promo for Morning Light. No trailer for Shopaholic shows up here. An absurd and pointless paean to consumerism wrapped up as a cutesy slapstick romantic comedy, Confessions of a Shopaholic flops – and flops badly. It wastes the talents of its lovely lead actor and a terrific supporting cast with terrible gags and an actively annoying main character. The disc provides decent picture and audio along with some minor supplements. It’s like someone tossed every romantic comedy cliché into a blender and out popped Shopaholic. Avoid this idiotic tripe. One note: I ran into a mix of glitches as I played this disc. Occasionally the film hung up briefly as it ran, and I found it tough to get all the extras to play correctly; I had to stop and restart the disc about 10 times to finally get through all of them. I don’t know if I simply got a bad disc or there’s a problem with the whole batch, but I thought I’d mention it.